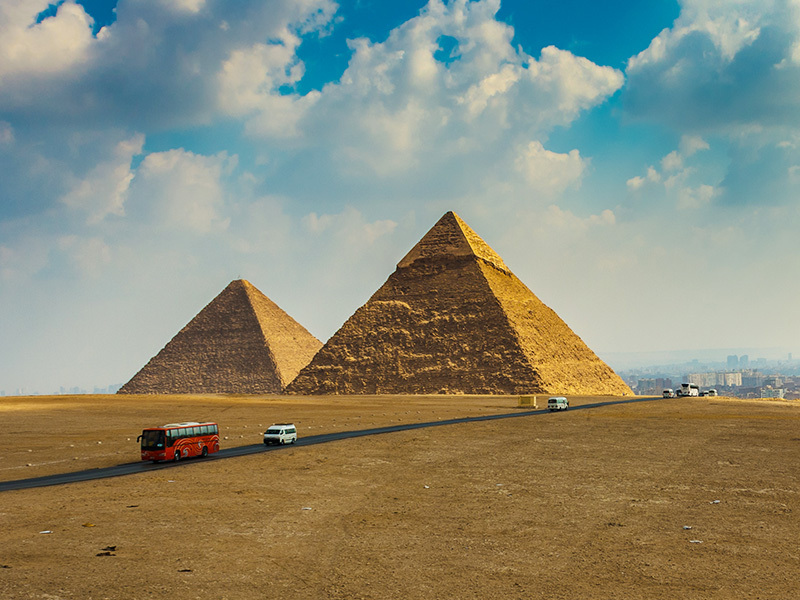 No visit of Cairo is complete without a tour of the sole-survivor of the Seven Wonders of the World. 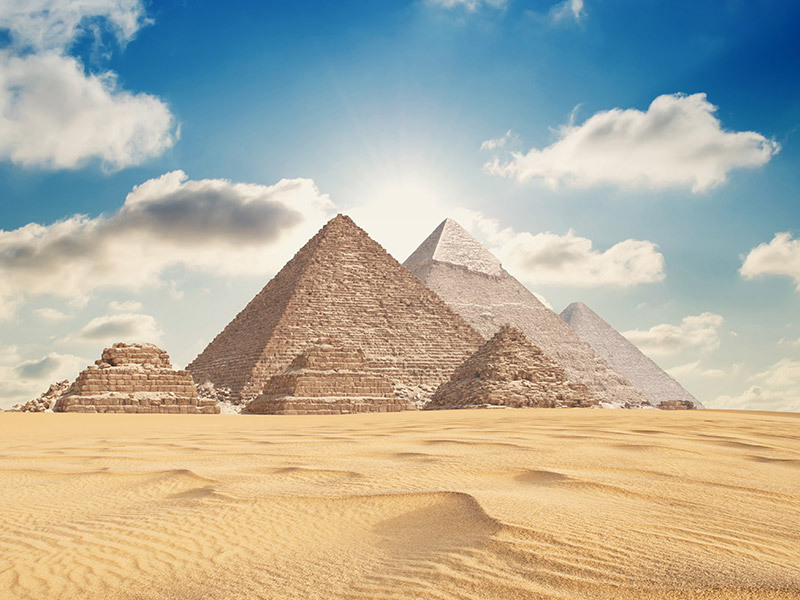 We offer you a private tour of the Great Pyramids of Giza and the Sphinx to make a trip into the ancient Egyptian civilization. The most famous and tallest man-made structures in this World that have survived thousands of years are worth a visit. You will get to visit various sites and determine the time you want to spend on each site as you wish in a private tour. The Pyramid of Khufu, also known as the Great Pyramid and Pyramid of Cheops, is the oldest and largest of the three infamous pyramids of Giza. 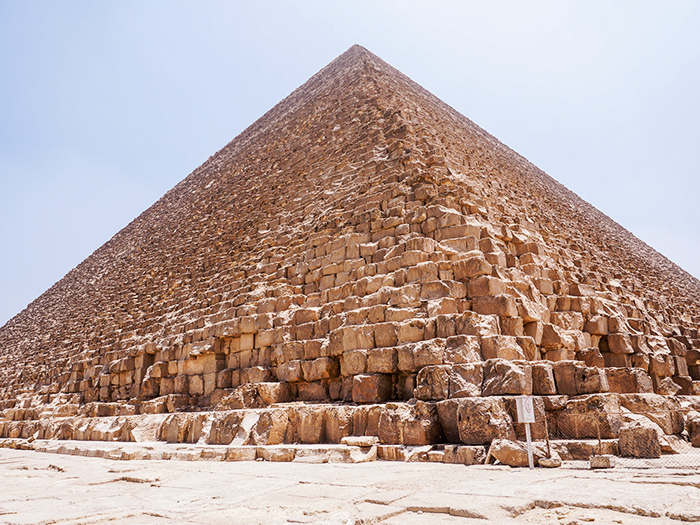 It was commissioned by Pharaoh Khufu, the fourth dynasty Egyptian Pharaoh, on Giza Plateau towards north, incorporating about 2.3 million stone blocks and each block weighing from 2.5 to 15 tons on average. The Pyramid of Khafre is shorter than his father Khufu’s Pyramid, but Khafre nonetheless managed to build a more elaborate complex around his Pyramid. 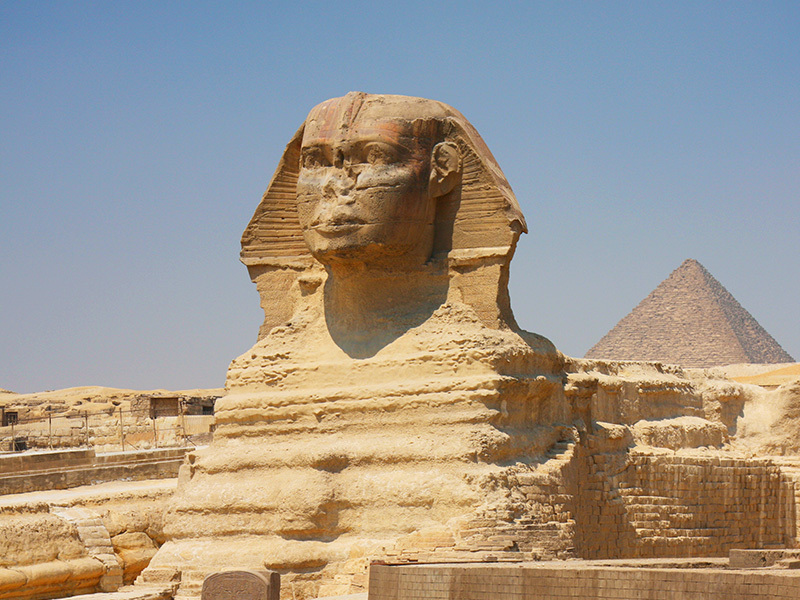 The Great Sphinx of Giza is the largest monolith statue in the world, built during the time of Pharaoh Khafra. It is a symbolic figure representing Pharaoh Khafra with a human head and a lion’s body, amalgamated in the form of a mythical creature. 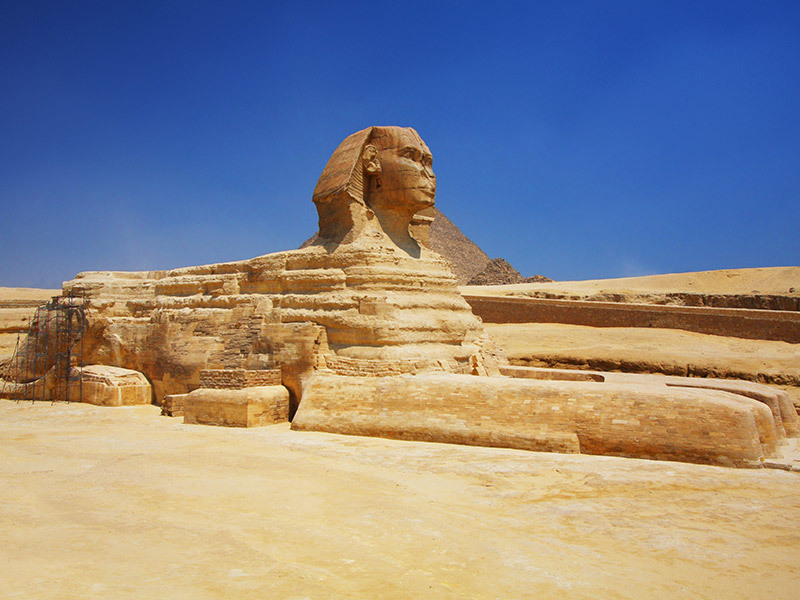 The Sphinx is a solid limestone statue that is 20.22 metres high, 19.3 metres wide and 73.5 metres long. The Sphinx, carved over 4500 years ago, stands on the west bank of Nile where it guards Khafra’s pyramid. We only charge 10% cancellation fee for bookings canceled at least 3 days before the tour date. For bookings canceled in less than 3 days prior to the tour date, we charge 50% cancellation fee.